This is a very exciting time of the year for the Aurora King Baseball Association. The recent start to another MLB season means that the kick off to our 2019 season is quickly approaching. While we were shoveling our way out of mountains of snow and ice and trying to keep warm in the frigid air, your Executive team has been hard at work over the winter preparing for the upcoming season. I want to take a moment to recognize all of our dedicated volunteers who put in a great deal of time to make the baseball season happen for so many. Our 2019 on-line registration portal is open and registrations are still coming in daily. If you have not registered your child yet, please make sure you do while spots are still available. Highlights for the 2019 season. As we continue to put plans into action for the upcoming season there are a few items that I want to highlight. 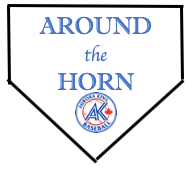 2019 Aurora-King Jays – This is the Aurora King Baseball Associations competitive baseball program. The program is made up of 12 representative teams and 3 select teams. We are very proud of our program and the growth this program has seen over the past few years. It was not that many years ago when we had only 9 teams. Led by a group of dedicated and experienced coaches, our competitive athletes have been hard at work all winter long training indoors and are anxiously waiting to get out on the diamonds in early May. I would like to extend best wishes to all of our teams that will be representing Aurora-King throughout the entire province all summer long. I know you will represent our Association proudly. 2019 House League Program – While every level of baseball is important to the Association, our house league program remains the back bone of our Association. With the season scheduled to kick off on Tuesday May 21st, we have a number of events planned for our house league program throughout the season. Player evaluation day – Sunday May 5th at the Aurora Sports Dome. More information on exact times for each division will be sent out closer to the date. House League Players Skills Camps – Saturday May 25th and Sunday May 26th at Lambert Wilson Park. More information on these camps will be forthcoming. Photo Day – Saturday June 22nd at the Aurora Sports Dome. Exact times for each team will be developed closer to the date. All house league teams will also have one game that weekend. Final Weekend – Saturday August 24th and Sunday August 25th. Schedules for this weekend will be made available much closer to the date. The Executive Committee has also made some exciting changes to the house league program for 2019. Following suit with the Baseball Canada Long-Term Player Development strategy, our 7U Jr. Rookie program will not have a playoff format starting in 2019. This will mean that no games in the division will be scored, however teams will still have the opportunity to play a game on the final weekend and enjoy the other festivities that weekend brings. For our 9U Sr. Rookie division through to our 15U Bantam division, we have changed the format of our playoff structure. For divisions with four our less teams, we will continue to run a bracket style playoff tournament. For divisions with 5 or more teams, there will be a single game final, and opponents will be determined based on seeding during the playdowns, which is a round robin format played the last two to three weeks of the season. The division directors will have more information on this format and the impact, closer to the season. The AKBA Board takes the welfare of our athletes very seriously. There is more and more guidelines and mandates coming from both the Provincial and Federal Governments on what sports organizations are required to have in place to ensure the welfare of their participants. The Board is taking these requirements very seriously and is working diligently to ensure that our Association has the required policies and procedures in place with respect to all aspects of our Association, including ones related to athlete welfare and safe sport. If you have any questions related to this topic, please do not hesitate to email me or the AKBA Secretary directly. In addition to these highlights your Executive Committee are continually reviewing current programming and brainstorming ways on how to continually improve the product that we provide and increase the number of participants we serve. In closing, it is great to see the number of registered participants climb daily and look forward to providing a safe, fun and rewarding experience for all in 2019.